The Commander knows the Spies, but the Resistance only wins if the Commander remains undiscovered. 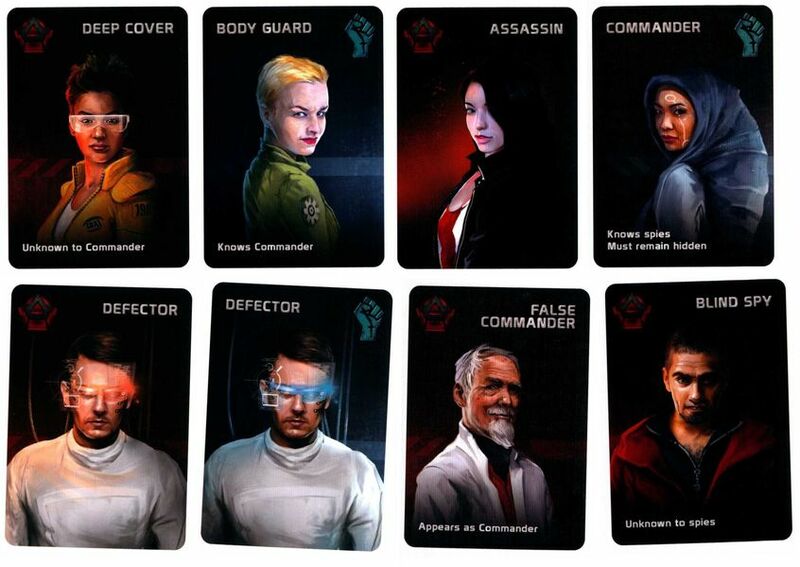 Use the Commander & Assassin character cards in place of one Resistance and one Spy character card. "Spies open your eyes and look around to see your fellow Spies"
"Spies - extend your thumb so the Commander will know you"
"Commander, open your eyes and see the Spies"
"Spies - put your thumbs down and re-form your hand into a fist"
"All players should have their eyes closed and hands in a fist in front of them" "Everyone open your eyes"
The game ends after either three successful or three failed missions. If three missions fail, the Spies win as normal. 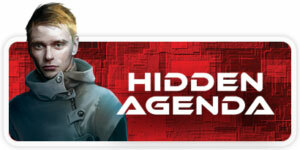 If three missions are completed successfully, the Spies will have a final opportunity to win the game by correctly naming which of the Resistance players is the Commander. 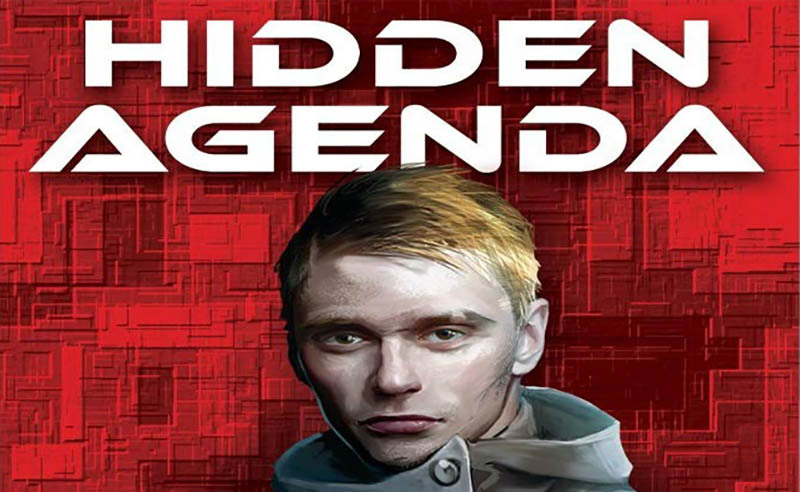 Without revealing any Character cards, the Spies discuss and the player with the Assassin character card will name on Resistance player as the Commander, If the named player is the Commander, then the Spies win, If the Spies do not name the Commander, the Resistance wins. If the Assassin Module is combined with any variant that reveals Character cards, use the Inquisitor Loyalty Cards instead of passing Character cards: a spy must pass the spy Loyalty card, resistance players must pass the resistance Loyalty card. Mission Teams are bigger than needed so the Leader can isolate a team member and watch their every move. if you are a psy on the MIssion Team, you'll never be sure if you're bringing the mission down… or giving your identity away. If playing with 8 (or more) players place the extra set of Mission cards and the extra Team token provided in this expansion by the Score Tableau. During the Mission Team Assignment phase, the Leader takes one more Team token than normal and assigns an extra member to the Team. The Mission Team Vote phase is unchanged. During the Conduct the Mission phase, each player on the mission selects a Mission card and plays it face down in front of themselves, The Leader selects one of the played Mission cards, looks at it and sets it aside; that Mission card does not affect the mission results. The Leader then collects and shuffles the remaining played Mission cards before revealing them. The Leader may discuss but cannot reveal the played. Defectors switch allegiance during the game. 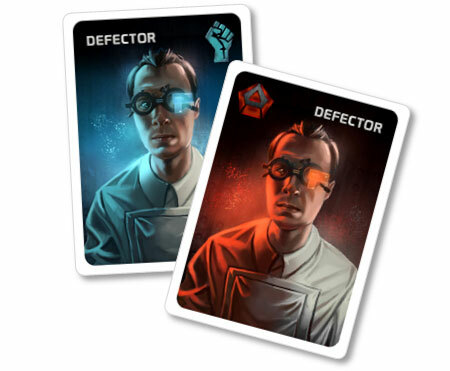 Use both Defector character cards in place of one resistance and one spy character card. Build a Loyalty deck of the 5 Defector Switch cards, shuffle and place the Loyalty deck face-down adjacent to the Score Tableau. During the Reveal phase, the spy Defector does not open his eyes, but instead extends his thumb so that he is known to the other spies. At the beginning of the 3rd round and at the very start of each subsequent round, flip one card from the Loyalty deck. If the card is "No Change", there is no change of allegiance and play continues as normal. If the "Switch Allegiance" card is drawn, the two Defector players secretly switch their allegiances - The spy Defector is now resistance, and the resistance Defector is now a spy. This switch applies to all aspects of game play including victory conditions and rules regarding playing Mission cards. They do not swap or show their Character cards. It is possible that the Defectors will switch allegiance once, twice or even not at all during a game. If the Defector Module is combined with any variant that reveals Character cards, use the Inquisitor Loyalty Cards instead of passing Character cards: a spy must pass the spy Loyalty card, resistance players must pass the resistance Loyalty card. Defector players must pass the Loyalty card that corresponds to their current allegiance. The two Defector players know each other. Recommended for larger groups only. "Defectors open your eyes to reveal your counterpart" "Defectors close your eyes" .